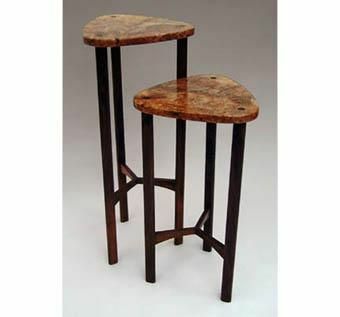 These small stands are perfect for displaying a treasured sculpture or rare plant specimen. The tops are cut from a slab of maple burl pegged to the walnut legs with wedged through tenons. Finished with a hand-rubbed oil/urethane blend.